In 2013, Founder and Chairman of the Asian Institute of Gastroenterology in India, Dr D Nageshwar Reddy was conferred with the world’s highest recognition in gastroenterology—Masters of the World Gastroenterology Organization Award by the eponymous organization. This award is presented once every 4 years to an exclusive group of gastroenterologists. Its recipients are dedicated to fulfilling the organization’s mission; and distinguished in research, teaching, and services to the World Gastroenterology Organization and the community at large. Dr Reddy is the only recipient of this honour from India. Dr Reddy and his team discovered a cause of cholesterol gallstones—a defective ABCG8 gene in the liver that leads to excessive excretion of cholesterol into the bile. This secretion increases as the affected patient ages, so the number of stones in the gall bladder eventually multiplies. This discovery of the defective gene in Indian patients won him the world’s most prestigious award in gastroenterology. Dr Reddy published his recent findings in the International Journal of Gastroenterology and Hepatology. He will continue his efforts in order to publish more ground-breaking papers on stem cells, cell culture and artificial liver—research areas that his institute is currently engaged in. Dr Reddy’s Asian Institute of Gastroenterology is one of Asia’s largest referral centres for therapeutic endoscopy, treating patients from all over India and its surrounding countries including Sri Lanka, Bangladesh, Malaysia, Nepal, etc. The institute performs the largest number of Endoscopic Retrograde Cholangio-Pancreatography procedures in the world. Dr Reddy established this institute with the concept of building a day care unit where patients can undergo major endoscopic surgical procedures without hospitalization. From a small outpatient unit, the institute has evolved first into a single specialty hospital and later into its present state as a single specialty institute with a full fledged research wing and a community gastroenterology wing. When he established his institute, Dr Reddy identified patient care as his foremost priority. He earnestly and continuously strives to provide “the common man with world-class health care, at an affordable cost”. His institute now includes a full-fledged 250 bedded single specialty hospital with all gastroenterology subspecialties. State-of-the-art operation theatres are available there to perform all major and minor surgeries related to gastroenterology and liver diseases. Backing up this system are medical and surgical intensive care units as well as facilities for advanced interventional radiological procedures. With its advanced technology and excellent facilities, the Asian Institute of Gastroenterology is one of the few centres in India that performs Endoscopic Ultra Sonography, Endoscopic Sewing, Capsule Endoscopy and Extra Corporeal Shock Wave Lithotripsy. Though his institute is widely recognized in the country, Dr Reddy understands that it is beyond the reach of many people. For this reason, he envisions patient care that extends to even the underprivileged. For this group of people, Dr Reddy focuses on “preventive gastroenterology” that prevents various preventable gastrointestinal and liver disorders. To achieve this, his institute offers health care to the rural population under the charitable trust, “Asian Health Care Foundation”. Fully equipped mobile gastroenterology units travel to homes in rural areas to deliver specialist gastroenterology health care to patients. Equally important as patient care to Dr Reddy is the education of new gastroenterologists. His institute offers teaching and training in medical and surgical gastroenterology leading to a postgraduate degree awarded by the National Board of Examinations under the Union Ministry of Health in India. Ph.D. programmes in various gastroenterology subspecialties are also available. Overseas institutions such as North Western University of Chicago and University of Texas Medical Branch for Genetic Research have partnered up with the Asian Institute of Gastroenterology to conduct research in stem cell, vaccination, gene mutation, and other areas. In addition to academic programmes, the institute regularly conducts and participates in national and international workshops. 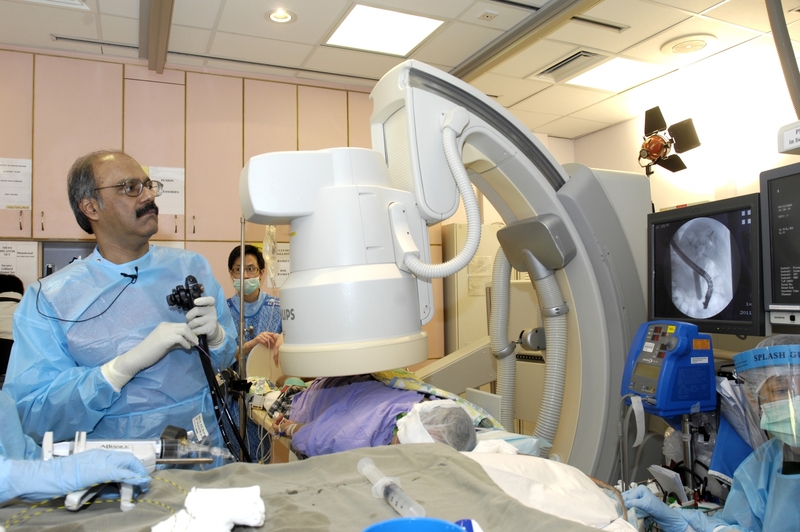 It is recognized as an advanced endoscopic skills trainer centre for local and foreign doctors. The Asian Institute of Gastroenterology continues to thrive years since its establishment. Similarly, Dr Reddy’s career soars to new heights, recently winning the Masters of World Gastroenterology Organization Award. Though “Master of World Gastroenterology” is a deserving title for Dr Reddy whose research achievements; dedication to patient care, education and community welfare are clearly evident, the Master himself, however, is most modest about it. He sees his prestigious award not as a personal achievement but as a threshold of new research discoveries. 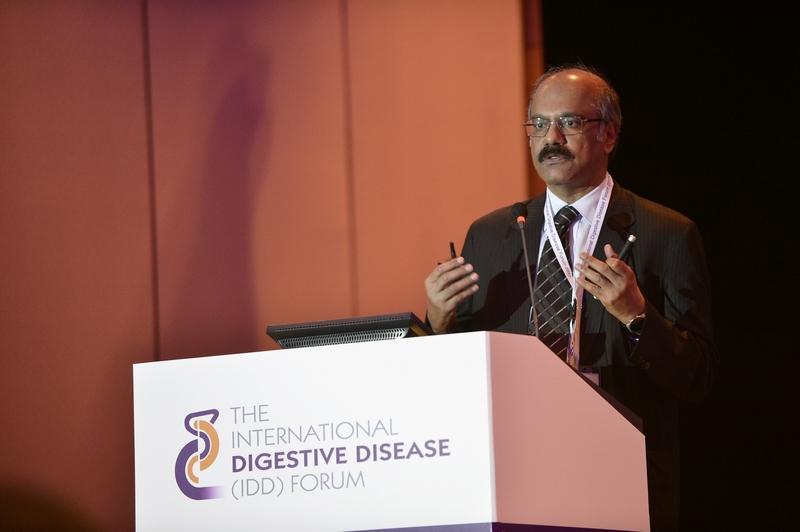 Dr Reddy is the speaker of the Joseph Sung Lecture at the 2015 IDDF. This named lecture was established in 2011 in the inaugural International Digestive Disease Forum. International experts who excel in academic research and demonstrate team-building leadership are invited to share their wisdom with the delegates. Joseph Sung Lecture speakers are exemplary models who can inspire the next generation of academics. Dr Reddy is a perfect example of such a role model for he is widely recognized for his distinguished research achievements, dedication to education and commitment to community care. Prof. Joseph Sung is the founding director of Institute of Digestive Disease of the Chinese University of Hong Kong. Under his leadership, the Institute has developed into a multi-disciplinary powerhouse that generates world-class research and publications. The success of the Institute is made possible thanks to the support of friends and collaborators from all over the world.